Carmen Johnson-Pájaro was raised in a family of music lovers, where gathering around the living room to dance and share music has long been a daily occurrence. A native of Alabama, she began violin lessons around the age of five. These early childhood experiences, encountering music as point of connection between people, cultivated full-fledged passions. Throughout Carmen’s development as an artist she has been continuously inspired by the capacity of music to heal, empower, and unite people and communities. This is the cornerstone of Carmen’s work as a performer, educator, and community-based artist in Boston. Carmen enjoys an eclectic performance career, spanning centuries and genres. A passionate chamber musician, Carmen performed extensively with her honors piano trio, Trio Noir, while at the Eastman School of Music. As a freelance performer in the Boston community, Carmen has played with the Boston Philharmonic Orchestra, Symphony NOVA, the Atlantic Symphony Orchestra, and Palaver Strings. Over the years, she has also developed a love of early music and baroque violin. She currently plays with the Harvard Baroque Chamber Orchestra under the direction of the esteemed Sarah Darling and Phoebe Carrai. Beyond performing, Carmen has a deep commitment to community-based work as an artist. 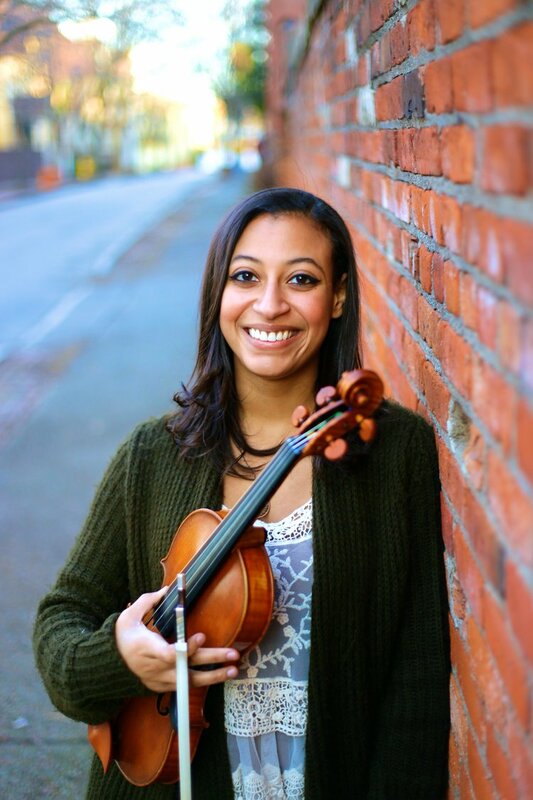 During her undergraduate years, she was selected to participate in two outreach programs titled, “Heifetz-on-Tour” and “Music Inspire Africa” (MIA). These programs took her to cities in Rhode Island, Zimbabwe, and South Africa, performing with colleagues, playing side-by-side with local community and youth orchestras, and teaching at various schools as well as an AIDS orphanage. These experiences inspire much of Carmen’s work today. While at the New England Conservatory, she worked as a Community Performance and Partnership fellow and recently received a grant for her project, REMIX, a music program working with male teens in a juvenile detention center. Carmen has taught at the Winsor and Josiah Quincy schools, and currently teaches at an El Sistema-inspired string program at the Bridge Boston Charter School. Over her summers, Carmen has attended the Heifetz International Music Festival, Bowdoin International Music Festival, Chautauqua Institution, Meadowmount School of Music, among others. Carmen holds a master’s degree from the New England Conservatory, and a bachelor’s degree from the Eastman School of Music, where she was a Lois Rogers Scholar and a recipient of the Links Scholarship. Primary teachers include Paul Biss, Juliana Athayde, Ayano Ninomiya, and Sergiu Schwartz.